Interview: Jimi’s hands. 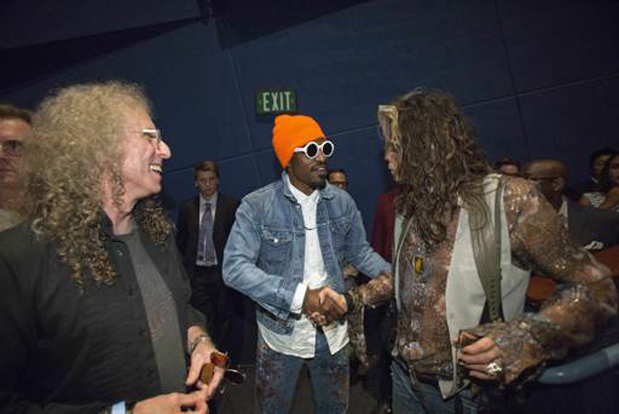 Waddy Wachtel talks Hendrix about creating the music and playing in the film. ... The story is told in "Jimi: All By My Side" without the benefit of any Hendrix recordings. 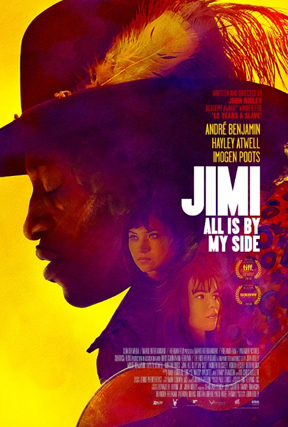 "The most serious of the challenges," says "All By My Side" producer Danny Bramson, "was the responsibility of creating and recording new and original material that puts you in the environment of interpreting Hendrix. I needed a guitarist with the skill and dexterity, but also that X factor of malleability where you can transcend your ego and personal styles and licks and let the musicology of Hendrix shine. I felt Waddy Wachtel was it for me." While the film includes three-dozen recordings from the likes of Dylan, Small Faces, Buddy Guy and T-Bone Walker, guitarist Wachtel, bassist Leland Sklar and drummer Kenny Aronoff created the film's original music, interpreting the evolution of Hendrix as a stylist whether jamming with Cream, playing New York's Cafe Wha?? or shaping the Jimi Hendrix Experience with bassist Noel Redding and drummer Mitch Mitchell. For each setting they used different guitars, amps and drums, recording at Capitol Studio A with Niv Adiri, who won a sound mixing Oscar for "Gravity." 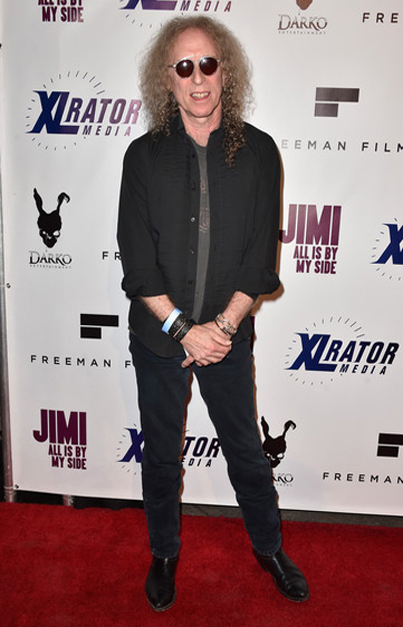 "For the film’s original music, Bramson brought in long-time friend and collaborator, Waddy Wachtel, legendary, in-demand session guitarist, who plays for Linda Ronstadt, Stevie Nicks, and Keith Richards, among others, and most recently was seen as musical director leading the revolving “house-band” on the 2014 Rock and Roll Hall of Fame Induction special on HBO. Ironically, Wachtel’s early childhood guitar teacher started him playing right-handed even though he was naturally left-handed. “From the moment I read the script, I had my eye on Waddy,” says Bramson. “I knew I didn’t want to cast a star-driven guitarist, because I needed not only talent and dexterity, but someone who could sublimate their ego and signature licks. Waddy brought the all-important X factor of malleability and patience, working and flushing out the material sitting there, knee-to-knee, as we did for months on end until we found what we were going for. I was merely the obsessive spark and amateur musicologist, with Waddy’s talent and hands providing the genius behind every note of the material and performances. My joke since then has been ‘Music by Wachtel, Lyrics by Bramson,’ but they’re all instrumentals!” laughs Bramson. To replicate the Hendrix trio, Wachtel was joined by Kenny Aronoff on drums and session legend Lee Sklar on bass. Legendary engineer Niko Bolas (Neil Young) was given the task of reproducing the analog ambience of the era’s music.